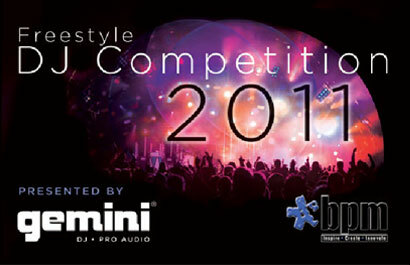 On Saturday 1st October Gemini will be hosting their fantastic Freestyle DJ Competition, during BPM at the NEC, Birmingham. Starting with online voting prior to BPM and then culminating in a live showdown in the BPM Arena, the Freestyle DJ Competition is an opportunity to show off your mixing talent! Open to DJs playing any style of music and utilising any playback technology, the competition is judged on technical ability, music selection and crowd interaction. Gemini have also upped the stakes with this year’s prizes. The 2011 Gemini Freestyle DJ of the Year will take home a pair of Gemini’s brand new CDJ-700 professional DJ media players together with a PS-626USB Mixer and a pair of DJX-05 Headphones – a prize worth well in excess of £1000. The newly appointed Gemini Freestyle DJ of the year will also be invited to perform on the main stage at BPM 2012, including an overnight stay, as well as showcase their talent on a Saturday night at one of Luminar Leisure’s LIQUID or OCEANA venues. 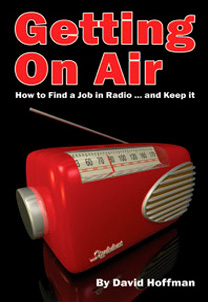 The second place runner up will also take home a prize that is well worth winning. The judges’ number two choice will win one of Gemini’s new CNTRL-7 four channel MIDI DJ Controllers together with a pair of iKey M-505V2 monitor speakers – a package worth over £450. The other two finalists will also take home a pair of Gemini DJX-05 headphones, while every DJ who participates in the live heats will win a pair of Gemini DJX-03 headphones. This year’s competition will take place on the BPM Main Stage beginning with 16 contestants competing in 4 heats to impress a panel of industry judges. During the heats each DJ will have just five minutes to show what they can do behind the decks, before the judges choose a winner to go through to the final. The judges will base their decision on technical ability, music selection and crowd interaction. The final will take place on the Main Stage at the end of the day, with each finalist performing another five minute showcase mix. The judges will then select a runner up and the winner who will become the Gemini Freestyle DJ of the Year 2011.